One of my goals this year is to expand my repertoire of crafty skills. First on my list? 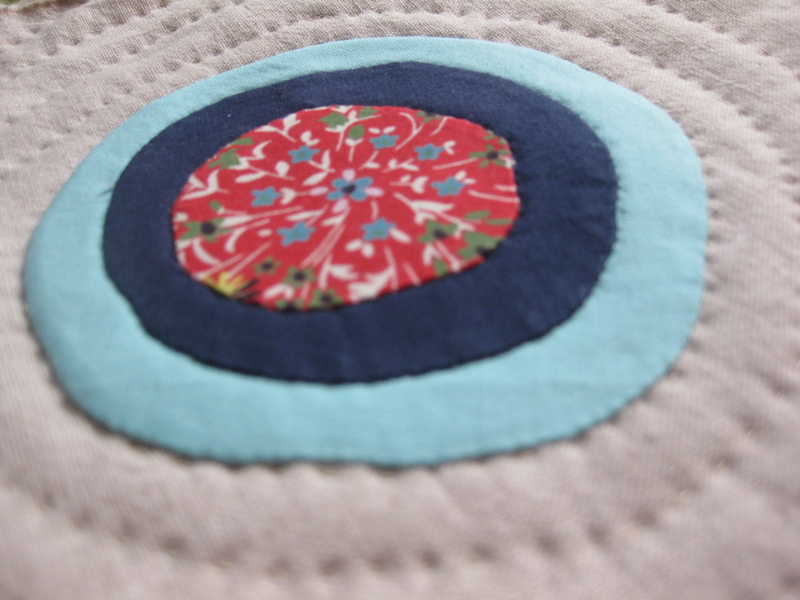 Needle turn applique. My guild is doing a mug rug swap this month, so this was a great opportunity to test my skills on an unsuspecting guild member. (They’re a pretty friendly bunch.) 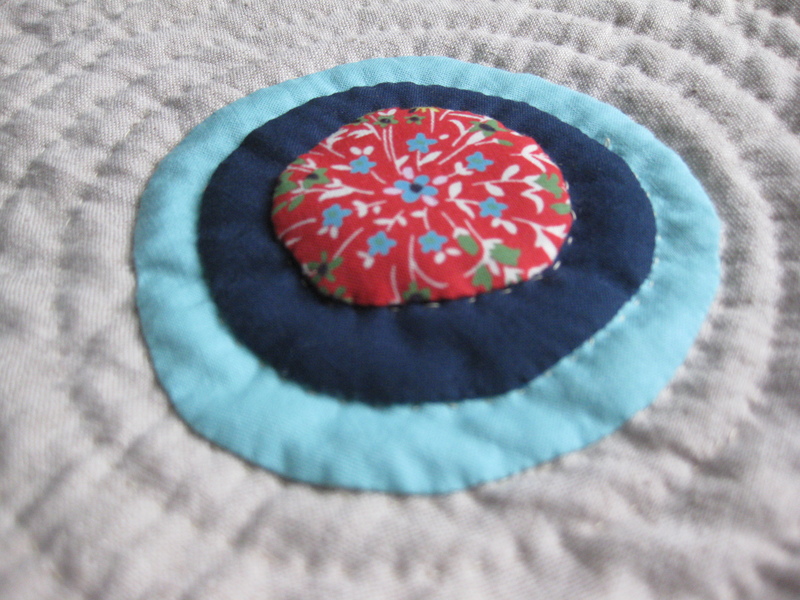 I used a very simple bull’s eye shape adapted from Denyse Schmidt’s Quilts book (hands down my favorite quilting book–it’s really great for beginners). It’s just three irregular circles stacked; aiming for imperfection is a great choice when you are learning a new skill (or improving a rusty one). What else do I want to try this year? Embroidery, making a stuffed animal, and (maybe!) English paper piecing. Look for more Skillful Sunday posts in the coming months! 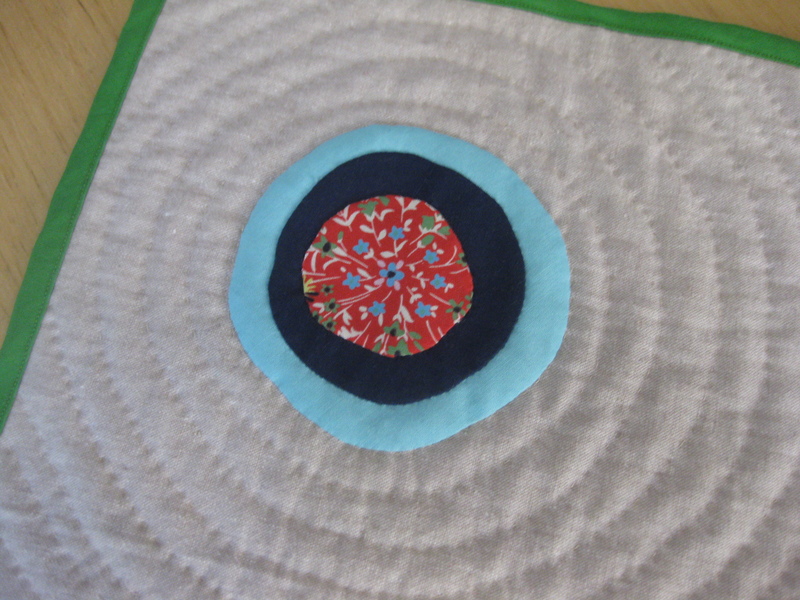 This entry was posted in inspiration, Modern Quilt Guild, quilts, Skillful Sunday, small projects and tagged applique, modern quilting, mug rug on March 3, 2014 by brigitdermott.